This story reminds me of the indispensable, therapeutic conversations that we have on Twitter now about “Reviewer 2” problems. Why do I remember this conversation with Danny so vividly? For one thing, not one of my professors or mentors ever admitted—at least not to us, their students—that they had ever encountered a questionable, insulting, or otherwise difficult peer review response. What I heard, and saw, from my role models both at the undergraduate level and in my PhD program appeared to be a measured waltz from sabbaticals to book awards to keynotes, from Fulbrights to MacArthurs to Guggenheims. Social media, job market wikis, and blogging have admirably disrupted that narrative. Reviewer 2 has reached the status of an internet meme. It’s worth remembering, though, the rare senior faculty of the former era who found their own ways to speak honestly about the real lived experience of an often frustrating and unfair academic culture. It was very in character that Danny finished the story with a chuckle and a blunt remark. “He was right. It was written in a third-rate university library.” Of course, that article was later successfully published elsewhere and helped make his professional reputation. Parts of my project he understood—later, he generously agreed to write for the back cover—and parts he did not. Teaching and mentoring across generations is always fraught. That’s especially true in our era when the rules and circumstances of the profession seem to change every few years and methodologies come with a sell-by date. Danny Vickers, unavoidably, spoke to me across a generational gulf. He shared only a little with me in terms of sources, methods, and historiographical pedigree. What I have to admire about him as I, myself, grow older in the profession is his ability to handle a younger, unfamiliar generation with personal warmth, grace, and respect. It might seem like a common sense proposition that taking a “glass half full” rather than “half empty” approach to early career researchers is healthier for the life of the profession, but that’s an insight that continues to elude a surprising number of senior scholars. Others have blogged (here and here) about his honesty and how it deepened and informed his personal relationships. It’s worth remembering that honesty is an intellectual virtue as well as a personal one. Danny Vickers had a remarkable knack for making the simple, yet unexpected statement that could transform, rather than merely add to, a debate. I remember seeing him at a roundtable in Halifax on Simon Schama’s (then) new book Rough Crossings, about the founding of Sierra Leone. Vickers was not one of the more talkative members of the panel, but it is his remark that has stayed with me ten years later. He said, slowly and in a concentrated way, as if talking out loud to himself, “I don’t understand what it is about popular history that makes it always have to be conservative.” He went on to trenchantly dissect Schama’s Whiggish and literal-minded reading of the early years of the Sierra Leone project. But it was so like him to redirect our attention to a much bigger problem, with an unforgettable, forthright statement. We each, necessarily, belong to a particular generation. Some wit once remarked that an academic career, considered in full, means entering a room in the middle of a conversation that started long before you got there, staying a while and taking part, and finally leaving the room while the conversation goes on without you. But I do not see Danny Vickers’ work as simply a “completed” career that belongs to the past. He continues to challenge, provoke, and stimulate us as the historiography around sailors, port towns, and coasts moves forward. Isaac Land is a Professor of History at Indiana State University. He is the author of War, Nationalism, and the British Sailor, 1750-1850 (New York: Palgrave Macmillan, 2009). 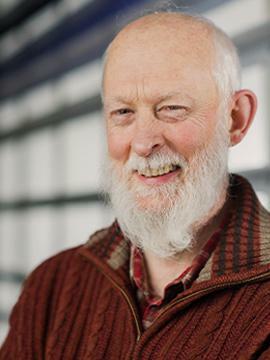 He regularly updates the Coastal History blog and has also written a short overview at the Firths and Fjords blog, Coastal History: Who, What, and Why? Daniel Vickers, “Beyond Jack Tar,” William and Mary Quarterly 50, no. 2 (April 1993): 418-424. 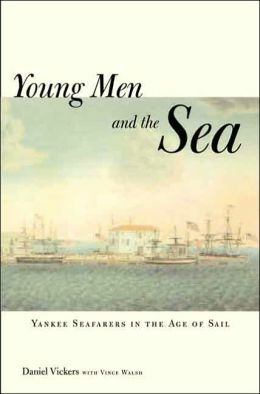 Vickers, “Beyond,” 421-2; Daniel Vickers with Vince Walsh, Young Men and the Sea: Yankee Seafarers in the Age of Sail (New Haven: Yale University Press, 2005). Robert James, “Cinema-going in a port town, 1914–1951: film booking patterns at the Queens Cinema, Portsmouth,” Urban History 40, no. 2 (May 2013): 315-335; Karl Bell, “Civic Spirits? Ghost Lore and Civic Narratives in Nineteenth-Century Portsmouth,” Cultural and Social History 11, no. 1 (2014): 51-68. 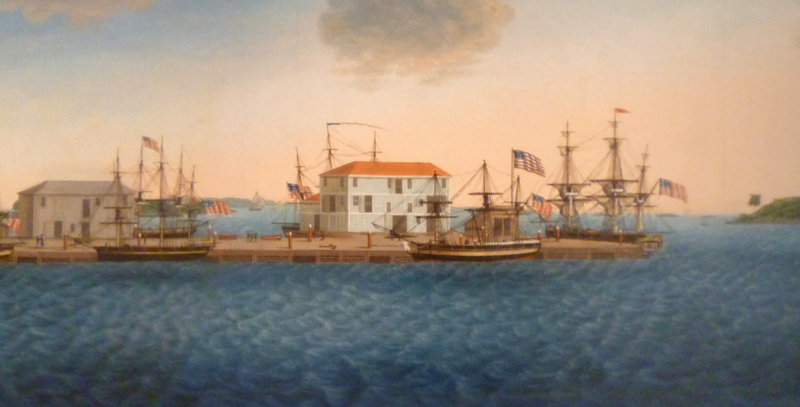 Featured image: Crowninshield’s Wharf, Salem, Massachusetts, by George Ropes, 1806. Peabody Essex Museum, via Wikimedia Commons.